Spices are a vavulable part of your food storage. Yet stroing spice for the long term is tricky. Most spices don't store that long. Here are some general guidelines. How can you tell if they are still good? Smell them. If they still smell like cinamon (or what ever) then it is still good to use. If it smells like nothing well then it will taste like nothing. There are things you can do to extend the shelf life of spices. 1. Proper Storage: Spices should be stored in a cool, dark, airtight container. If you are storing them in clear bottles next to your stove then you can plan on them not lasting very long. As air and light reach spices the flavor deteriorates. I store a small amount of spices in my kitchen and then store larger containers in my cold storage. I have found that keeping them in a dark cold place extends the life significantly. 3. Buy quality spices to begin with. I am cheep. I will say it I have a hard time buying the premium anything. The no-name brand is almost always good enough for me. 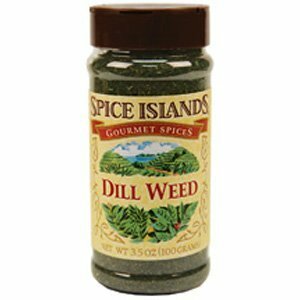 But I have found with spices (if I am not buying them in bulk) that the brand name does matter. I have had good luck with the Spice Island brand. Dry roasting helps to accentuate the taste of whole spices; as cumin, coriander, mustard seeds, fennel seeds, poppy seeds and sesame seeds, although I have found it to be useful with most spices. To toast, heat a dry heavy skillet over medium heat until hot. Add spice(s); toast 30 seconds to 2 minutes or until spices are fragrant and lightly browned, stirring constantly to prevent burning. Remove from heat. Be very careful if you burn them there is no way to save them. Toast only the amount you will be using immediately. When using ground spices, add them to hot oil or butter to intensify their flavor. If sautéing aromatics, such as onions, garlic, or celery, add them to the pan during this time. This is particularly effective when using spice mixes, like curry or chili powders. How Much Do Shelf Reliance Consultants Make?